Bakers (top, from left) Alicia Tench, Miranda Fox, and Virginia Wiernusz work on a special order of cupcakes for a contest held recently at Keystone College. Cloe Newell (above) exhibits one of her most recent renderings in an art studio at the Dietrich Theater. Keystone Community Resources (KCR), which has provided programs and services for individuals with autism and developmental disabilities in northeast Pennsylvania since 1964 will celebrate its 55th anniversary this year with a variety of public events. 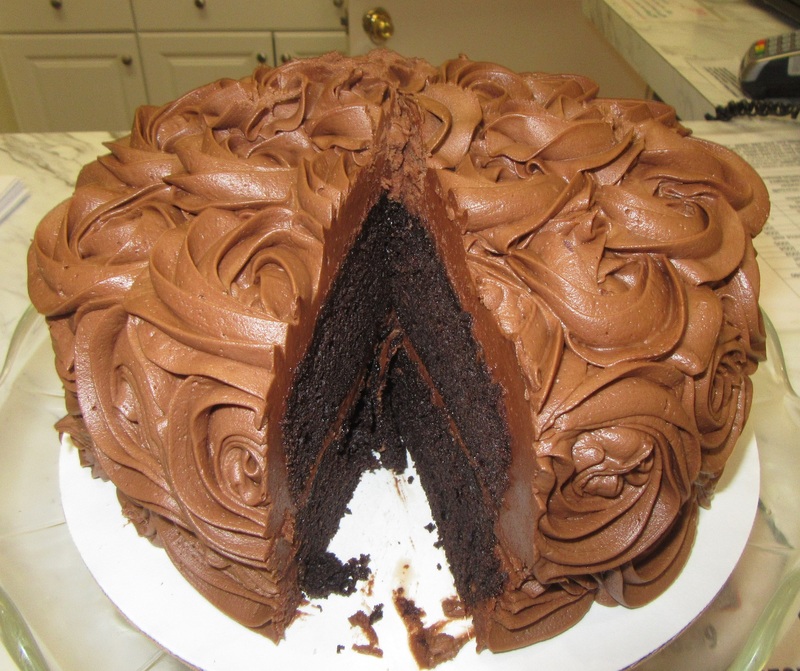 In the meantime, a separate birthday will be celebrate in Tunkhannock by the staff and community members associated with one of KCR’s most unique creations – Keystone Konfections at 99 Bridge Street. Local residents have found the concoctions at Keystone Konfections both delectable and affordable since August of 2014, but many of the bakery’s patrons may not realize that their purchases provide support for nearly 50 individuals to make the most out of their lives and remain active in the community. The center that shares the building with the bakery is one of KCR’s busiest of five locations, slightly outpacing center’s in La Plume and Montrose. In addition to serving as a vocational center that gainfully employs a number of people, the individuals coming in for day programs also enjoy art and cooking classes and opportunities to get out into the community to engage in many more activities. “They are out about 25 percent of the time,” said Bridge Street program director Katie Franklin. Certified counselors generally chaperon three individuals at a time, taking them to shopping centers, book store, pet shops, museums, fitness centers and for walks in the park. An in-house recipe club includes a trip to a local grocery store to purchase ingredients which the participants return to the center to make a meal together. The groups are kept small to allow for more personal interaction with the staff members. Individuals take every activity seriously, KCR marketing specialist Noelle Snyder related, but art is one of the more popular outlets for their creativity. There is a classroom on site for instruction, but staff art teacher Margie Makowski also takes students to the nearby Dietrich Theater whenever possible, where they tackle new art forms with instructor Steve Colley. “We’re fortunate to have the Dietrich so close by,” said Snyder, adding that participants take part in two art shows per year at the theater. 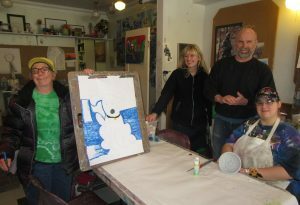 In March, they were also busy rehearsing for a dance recital to accompany their April 7 art show at the theater. 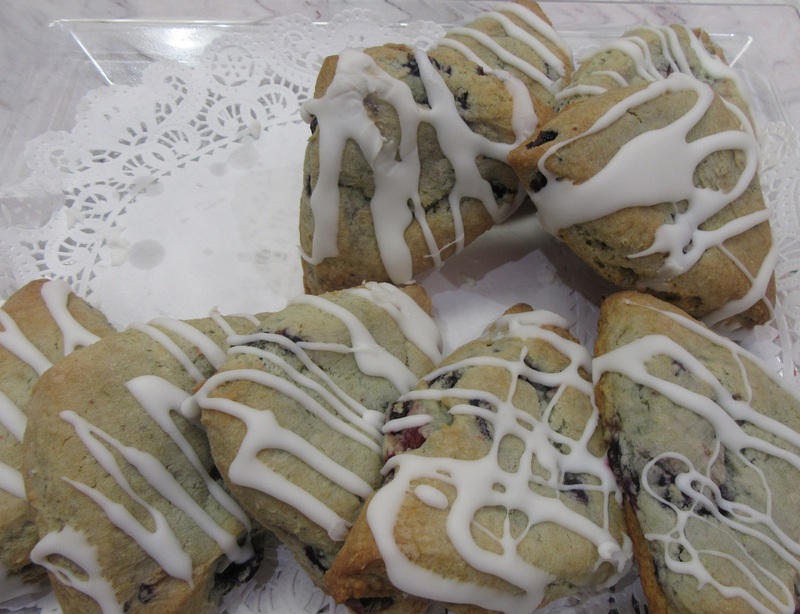 Then, of course, there’s the bakery, the most unique aspect of the operation in Tunkhannock. Keystone Konfections is managed by Linda Brown, whose staff is equally engaged in the everyday activities and mission. Linda is an LPN who not only once ran her own bakery, she and her husband housed adults with intellectual disabilities. Her daughter and KCR CEO Laura Brown-Yadlosky encouraged the couple to move to the area to be closer to their grandchildren. Linda found retirement boring, and a chain of events led her first to a secretarial position for KCR, then to teaching cooking classes, then eventually managing the bakery. 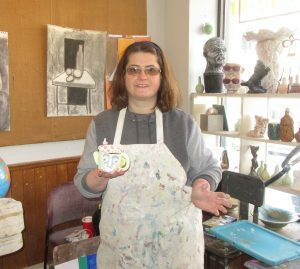 It was set up much like her old kitchen, where she’d also taught individuals with intellectual disabilities how to cook. “I felt like I was home,” Linda said of assuming the position at Keystone Konfections. Now, cupcakes, pies, cookies, cakes and coffee are churned out with perfection in surprisingly large quantities. 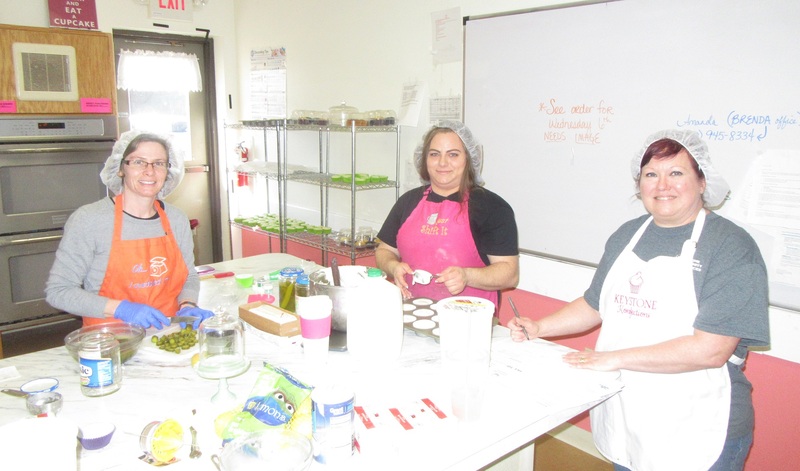 As many as a half dozen individuals attending the center may be called to the kitchen to assist with packaging big orders, and one – Brenda Hunting – works in the bakery one day per week. In addition to a wide variety of tried-and-true standards, the bakers keep seasonal items in stock and love to fill special orders. Requests for such are appreciated as far in advance as possible by calling 570-836-7250. Keystone Konfections is open Tuesday through Friday from 8 am to 3 pm and from 9 am to 2 pm on Saturdays. Learn more by logging on to www.keystonekonfections.com. 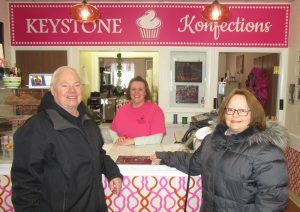 Cashier Vicki Tupper (center) sells scones to first time Keystone Konfections customers Charlie and Maryellen Gibbs of Nicholson Township. Brenda Hunting (left) and Brittany Veina are two of many individuals at Keystone Community Resources Tunkhannock center who enjoy art classes at the Dietrich Theater with instructors Margie Makowski and Steve Colley. Brenda also works at Keystone Konfections.